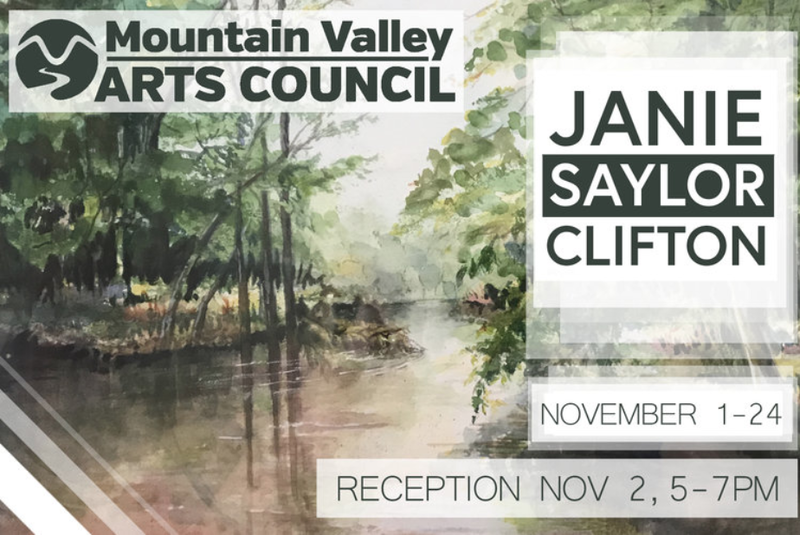 Mountain Valley Arts Council is excited to announce the next exhibit in our 2017 lineup, which features a collection of original paintings by Janie Saylor Clifton. The exhibit opens November 1st and runs through November 24th. Janie Saylor Clifton was born in rural Marshall County near Arab, AL. The lush valleys, mountains, rivers, and streams have provided much inspiration for her photographs and paintings. Through travel and many years of art education, she has developed her skills as a realistic painter using oils, acrylics, and watercolors. Janie’s background includes art classes, workshops, and years of disciplined practice with the late Chuck Long. She learned to appreciate art from her mother, Mattie Ann Saylor, who studied with Lucille Rains of Guntersville. St. Jude wing in Huntsville Hospital. There will be an artist reception showcasing Janie's work at the MVAC ART Gallery on Thursday November 2nd from 5-7pm.